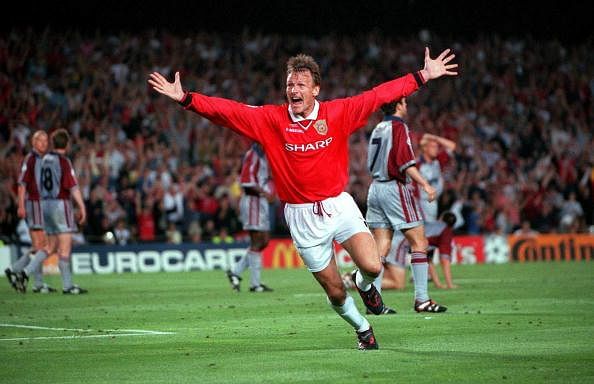 Manchester United legend Teddy Sheringham has tipped his former club for the title…under the proviso that Louis Van Gaal signs a striker. The new Stevenage FC gaffer offered his thoughts ahead of this Saturday’s Manchester United v Tottenham clash that kicks off the Premier League 2015/16 campaign. In a revealing interview Sheringham also talks candidly about Radamel Falcao and Javier Hernandez while modestly suggesting he would only be worth £4m in today’s market. 51-cap England international Teddy Sheringham has suggested his former club Manchester United may not have best utilised Radamel Falcao last season but insists the Colombian still represents a major roll of the dice for Jose Mourinho. Further speaking about Chelsea the new Stevenage FC boss remains unconvinced on the summer move involving two of the Premier League’s heavyweights and a formerly lethal hit-man now in danger of becoming a misfit. Sheringham was talking ahead of the season’s opener this Saturday that involves two of his former clubs, Tottenham Hotspur and Manchester United.